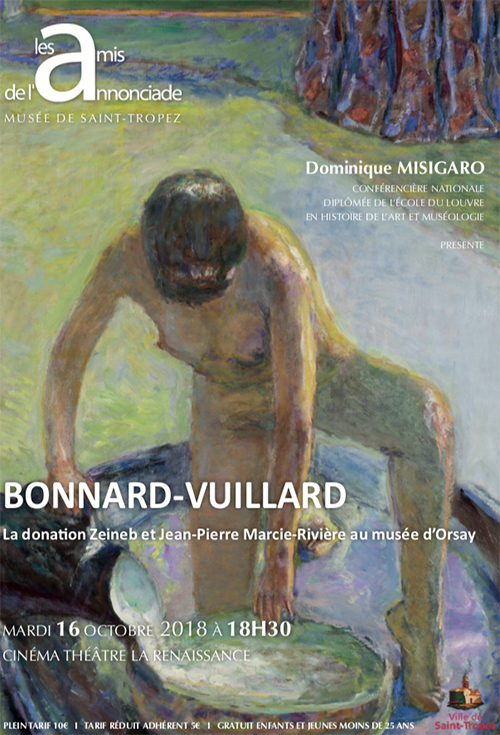 The association The friends of the Annonciade is pleased to offer you the conference "Bonnard-Vuillard" by Dominique Misigaro, art historian graduated from the Ecole du Louvre. Tuesday, October 16, 2018 at 18:30. Public access at 6 pm at the Renaissance theater theater (Place des Lices). Full price 10 € | Reduced member rate 5 € | Free children and young people under 25 years.